Most importantly, we've welcomed John Nick, our new lead engineer - a performance enthusiast with a Bachelor's degree in Mechanical Engineering and over 8 years of automotive experience. Together, we've released numerous new products and overhauled all of our polyurethane components. 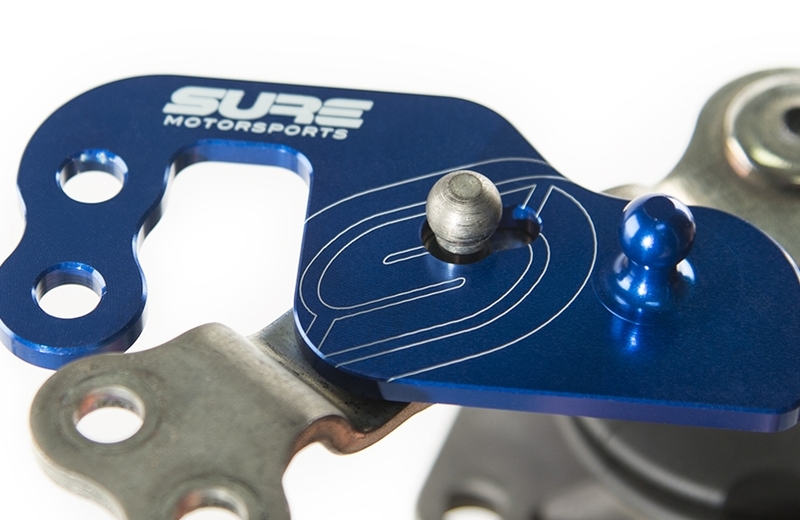 Our team has also produced 17 product installation and blog videos, and just recently rolled out the all new SUREMotorsports.com website. Our entire team here at SURE Motorsports has put a great deal of work into all of this, and I couldn't be more proud of each of them - and of course, a big thank you to all of our supporters. Looking to the future, these next few years are going to be an exciting time for Mazda development. In addition to current Mazdaspeed vehicles, there is a new Mazdaspeed on the horizon that we can't wait to get our hands on. We believe in thinking differently and challenging the status quo with everything we do. We are dedicated to designing great-looking products that are built to last a lifetime and enhance your Mazda experience. From myself and the entire SURE Motorsports team, thank you and here's to a truly great 2015. We are dedicated to designing products that are built to last a lifetime and enhance your Mazda experience. All of our products, including polyurethane components, are backed by our Lifetime Warranty. John Nick is the Lead Engineer here at SURE Motorsports. In addition to a bachelor's degree in Mechanical Engineering, John brings over 8 years automotive experience to the SURE Motorsports engineering team. With a passion for automotive performance and racing engineering, John tackles every project with an unrivaled enthusiasm. "My attention is on design, development, and validation. Taking this position has led to an increased amount of process and testing for our product line. This is necessary." Stay tuned as we roll out more posts, products, and exciting Mazda news! Posted on January 5, 2015 by JATO.